In the commercial real estate sales sector, Rio de Janeiro had the most expensive prices with an average per square meter of R$10,333; São Paulo had the most expensive prices in the rental sector with an average per square meter price of R$42.69. RIO DE JANEIRO, BRAZIL – According to the latest FipeZap Commercial Index, Brazil commercial real estate prices declined in August with sale prices falling -0.51 percent and rental prices decreasing -0.46 percent. In August, Brazil commercial real estate prices were down -0.51 percent in the sales sector and -0.46 percent in the rental sector, photo internet reproduction. In that period, the accumulated inflation rate fell -0.09 percent, as calculated by the IPCA/IBGE (National Consumer Price Index/Brazilian Institute of Geography and Statistics). August’s declines surpassed July’s declines which were -0.35 percent and -0.33 percent respectively, with an accumulated inflation of 0.33 percent. For the year so far, through August, Brazil commercial real estate prices were down -0.94 percent in sales and -2.00 percent in rentals. The accumulated inflation for the period was 2.85 percent. The FipeZap Commercial Index included listings for commercial spaces up to 200 square meters in the four cities of Rio de Janeiro, São Paulo, Belo Horizonte, and Porto Alegre. 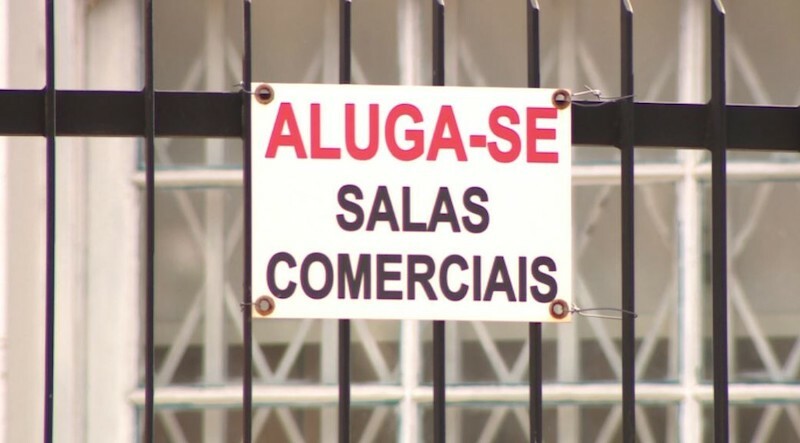 The largest decrease in commercial sales prices was seen in Porto Alegre where prices fell -0.65 percent. And, despite having the most expensive commercial rental prices, São Paulo suffered the biggest declines in August, with prices dropping -0.63 percent. Among the four cities surveyed, only Belo Horizonte reported an increase in either sales or rental sectors. Belo Horizonte commercial rental prices showed a nominal increase of 0.07 percent in August. In terms of prices, in the sales sector, Rio de Janeiro had the most expensive commercial real estate prices with an average per square meter price of R$10,333, followed by São Paulo at R$9,938. On the rental side, São Paulo led the way with an average per square meter price of R$42.69, while Rio de Janeiro was second at R$40.14. The latest FipeZap Commercial Index also compared Brazil commercial real estate as an investment vehicle compared to lower risk alternatives, such as the CDI (Certificado de Deposito Interbancário, in English, Interbank Certificate of Deposit). When compared to the CDI, a daily average rate of overnight interbank loans, those who have invested in Brazil commercial real estate have taken losses over the last year. In that time, the CDI has yielded an average return of 6.8 percent. However, according to FipeZap, owners of commercial real estate who leased their property were only able to gain an average return of 1.8 percent during that period. The FipeZap Index is prepared by the Economic Research Institute Foundation (Fipe) using data from the Brazilian Institute of Geography and Statistics (IBGE), in partnership with the Brazilian real estate website, Zap Properties.